Decided to go down to the coast and languish on the beach for a weekend getaway. The weekend weather looked promising and the sun was blazing so it will be warm by the coast, won’t it? With chairs, jumper and a scarf, which resembles a blanket, I thought I’d be warm enough. I was correct. Well, sort of. Although blustery, it felt quite cosy watching the waves, reading my new book and relaxing. The warm sunshine on my face was warm and welcome. Not sure I’ve managed to sit on a British beach before, in March? This trip has been quite uplifting because the British winter seems interminable this year and I’m glad of some sea air. It is invigorating to get out and about rather than succumbing to cabin fever. 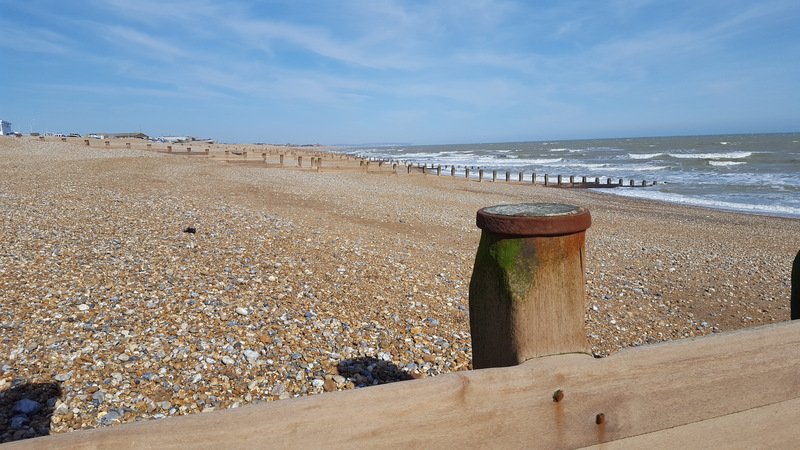 I have been known to meander to the sea shore, visit art galleries and enjoy the tranquil break by the sea, doing my own thing. After a couple of hours, I took off and stopped for a cuppa, which tasted of sawdust, then walked to the pier. Why do cafes provide rubbish tea? The place had a negative atmosphere when I walked in. Maybe it was my windswept look that shocked 😳 them. Or maybe the putrid tea. The brisk walk became suddenly very brisk. Ok, now it felt a bit chilly, so I admired the floral display and pier, then, turned around and went back, speedily, to the warmth of the car. 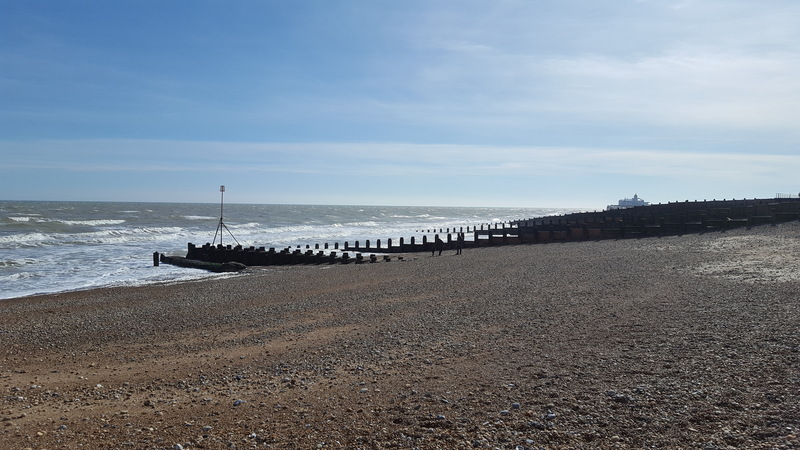 Was I a bit bonkers to visit the coast on a windy, sunny day in March? Well, it felt great. Always feels like a mini holiday when you spend some time away from your normal environment. Do you do this? If not, perhhaps you should. But pick the cafe stop wisely. Amazing view! the weather’s been amazing lately!